I love my crockpot. It has made my life so much easier! We use it probably 1-2 times a week for a ton of different meals. 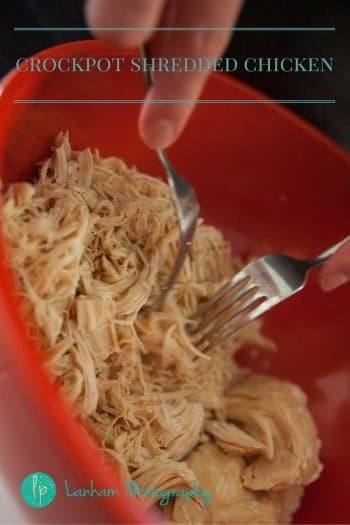 One of our new favorite is this crockpot shredded chicken. It is so easy to make. 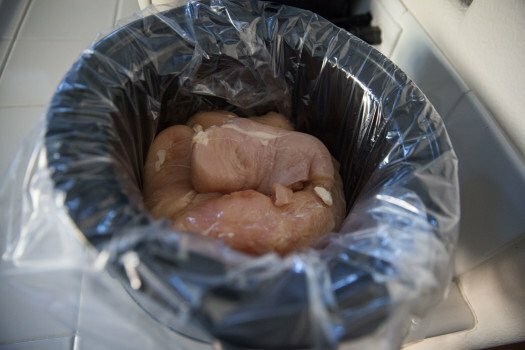 All you have to do is throw it in the crockpot and forget about it and you have moist, tender chicken! I love recipes that just do their thing and I don’t have to do anything at all! This is so easy to make the perfect amount for your family. 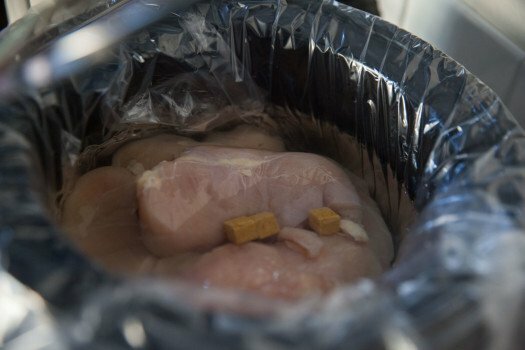 Basically do 1lb of chicken to 1 can broth or 1 cup water and 1 bullion cube. Adjust as necessary for as much chicken as you want to make. 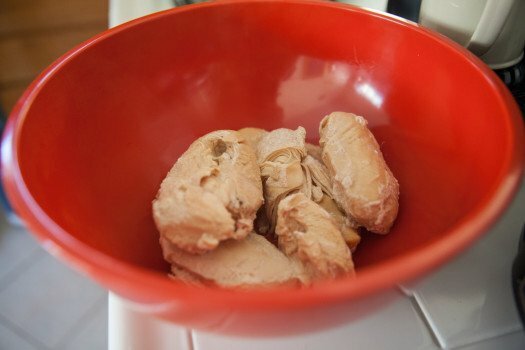 We used to bake chicken for the week, but the chicken came out so dry. Now we like to make this recipe on a Sunday and then we have chicken for sandwiches, salads, and casseroles throughout the week! It reheats well and doesn’t get too dry. 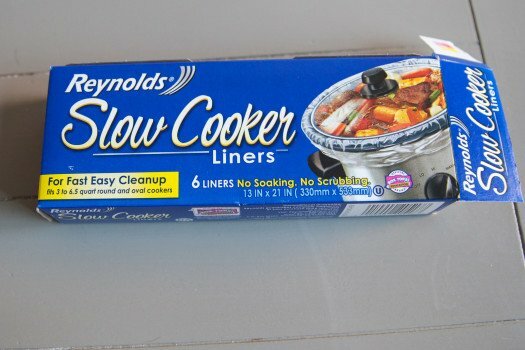 Recently found these Reynolds Slow Cooker Liners and they are amazing! Sometimes they break, so you still have to wash your crockpot, but no more crusted on food that you have to scrub. These make cleanup so much easier. Target sells then for about $1.50 for a pack of 4. All the chicken in the crockpot. Just water, bullion cubes, and the chicken. The chicken comes out so tender, it is basically already falling apart. You don’t have to do very much for it to easily shred. You can add BBQ sauce for BBQ chicken sandwiches, put it on top of a big salad, or make chicken casseroles. So many great options! Like I said we make this on Sunday, and since there’s so many ways to eat it, we don’t get sick of it! If you’d like to see more easy weeknight meals, follow my Pinterest board!